After "Qubool Hai", television actor Karanvir Bohra has lost another show. Apparently, Karan Patel has replaced Karanvir as the host of the crime based reality show "Gumrah". "Gumrah", which was first aired in 2012, showcases crime committed by juveniles. Karan Kundra hosted the show for two years. He left "Gumrah" for "MTV Roadies" and actor Abhay Deol stepped in his shoes. But Karanvir replaced Abhay in the fourth season of the show. 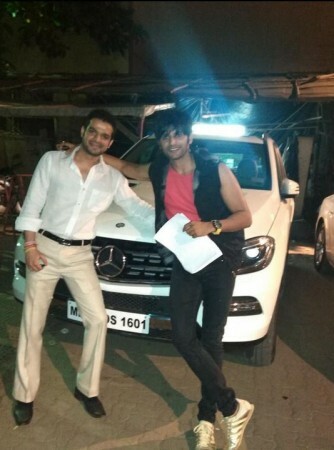 However, now Karanvir has also been replaced by none other than "Yeh Hai Mohabbatein" actor Karan. Karan is currently the one of the popular television actors and favourite of the producers Balaji Telefilms. He shot to fame for the portrayal of the character Raman Bhalla in the TV drama series "Yeh Hai Mohabbatein". Karan will host the fifth season of the show, for which he has already shot a promo video, BollywoodLife.com reported. Karan has also confirmed on Twitter by sharing a video of him shooting for the promo. In other news, Karanvir has quit TV show "Qubool Hai". He didn't reveal the reason behind quitting the show, but said that he parted ways amicably. "It was a great journey personal and professionally. I had a commitment with the show and now with it starting a new journey, I wish them the best. The parting has been amicable and no one holds any grudges. Every journey has to come to an end, and mine comes to an end now with this show. I wish the show great luck ahead," Tellychakkar quoted Karanvir.